Freddy pulled Jason's Hokey mask into hell in "Jason Goes To Hell: The Final Friday". 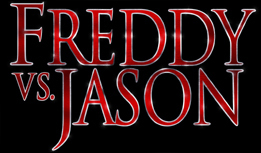 This being the first Jason movie New Line Cinema owns, they didn't waste any time throwing in a Freddy reference. Just like everyone else, Freddy and Jason have also appeared on "The Simpsons".